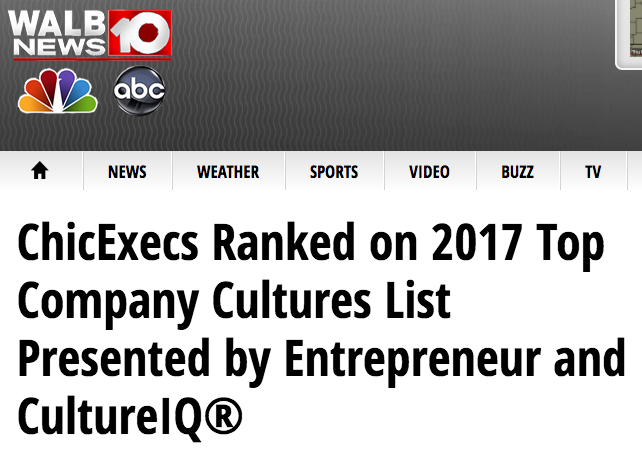 Chic Execs in the News – See what WALB 10 News had to say about Chic Execs being ranked in the 2017 Top Company Cultures. “Great company cultures don’t happen on their own. They’re the result of great leadership, and a conscious effort to make everyone on a team feel engaged and important,” says Jason Feifer, editor in chief of Entrepreneur. ChicExecs provides the recipe for success in our growing network and continues to service industry leaders around the country. “Think outside the suit” with Chic Execs.